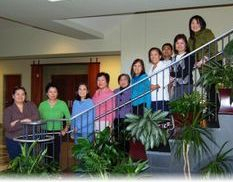 The Philippine Nurses Association of North Carolina – PNA-NC, was formed in response to the escalating need for a collective effort in addressing the multifarious issues and concerns of Filipino and Filipino American nurses in North Carolina. It aims to rally them to take an active role in promoting the advancement of the nursing profession while contributing to the development of a positive nursing image responsive to the metamorphosing health care arena and cognizant of a national nursing shortage that is threatening delivery of quality health care. 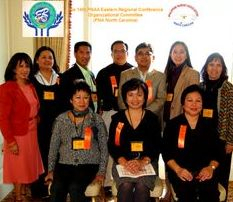 From the initial meeting in the fall of 2000 hitherto, active and respectable Filipino nurses and American Filipino nurses from the various fields of nursing practice that make up the leadership of the PNA-NC have been working towards unifying the burgeoning numbers of Filipino and Filipino American nurses in the state. Its primary goal is to foster the personal and professional growth of its members. Issue and value driven and driven to succeed embody the core paradigm of the association. To support the acculturation of Filipino nurses and their families in North Carolina. The vision of the PNA-NC is to be organized and stable infrastructure whereby our members can grow professionally and personally amidst an atmosphere of collegiality. Section 1: The PNA-NC believes that Filipino and Filipino-American nurses have unique, multifarious needs that must be met to ensure positive acculturation as well as professional success in a diverse America society while preserving one's identity. Section 2: The PNA-NC believes that as members of the community and the health profession, we have the responsibility to be involved in activities that promote health with a holistic approach. Section 3: The PNA-NC believes that as health professionals, it is our duty to keep abreast of legislative and public policies that have as impact on the health care agenda and to exert a positive influence in keeping with our commitment to advance the nurse's economic welfare as well as promote public health and safety. Please consider helping us through AMAZON Smile.